Müesli is one of our favourite things to eat for breakfast because it gives that lovely crunch to any vegan yoghurt or smoothie bowl. 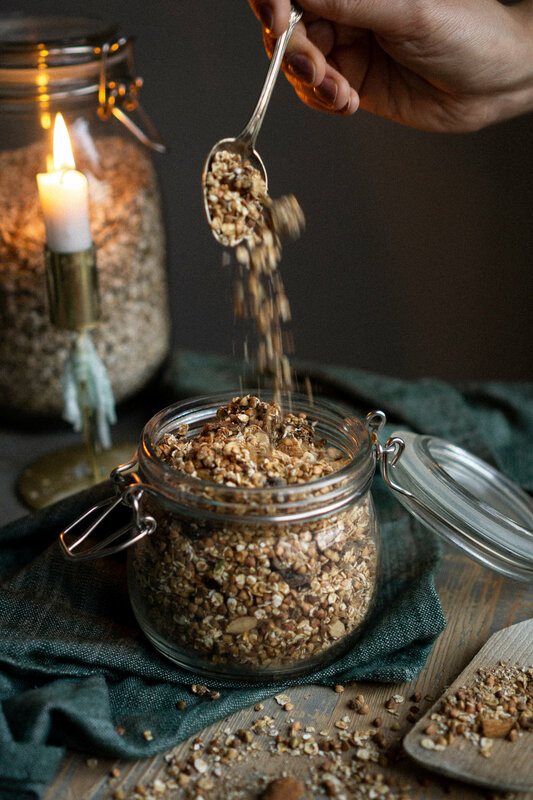 The best part about making müesli at home is how incredibly easy it is — it’s almost ridiculous — and you can always adjust it to your own liking, like this recipe which is perfect for those lazy mornings between Christmas and New Year’s. Turn your oven on to 200 °C. Spread the buckwheat and rolled oats evenly onto a baking tray lined with baking paper, then drizzle the honey over them and roast in the oven for 15-20 min at 200 °C. While they’re in the oven, remove the pits from the dates and chop them and the chocolate into small pieces. When the oats and buckwheat are roasted pour them into a bowl and add the chopped dates, chocolate, and spices and blend thoroughly. Enjoy as a topping on your vegan yoghurt or smoothie bowl! 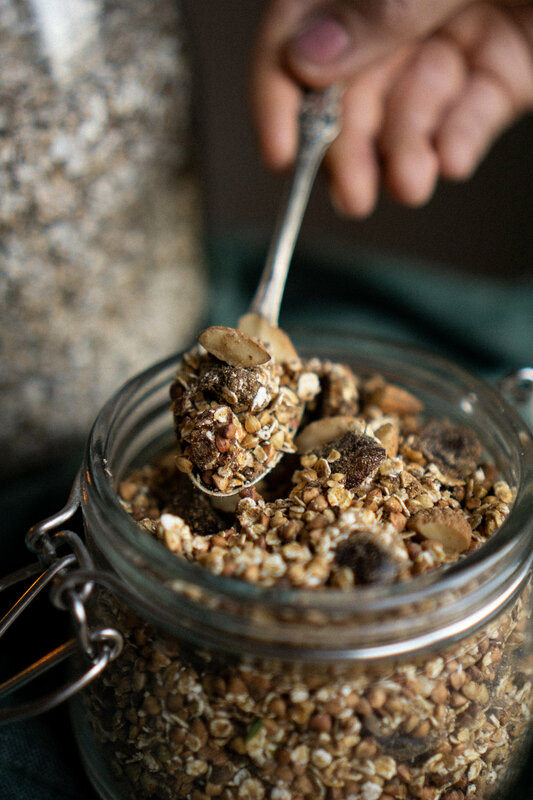 *The müesli should hold for at least a week or two stored in a clean jar at room temperature.